Snow in winter and biking professionals in the Oetztal Valley in summer: if you are looking for a holiday in Soelden and enjoy conquering a high altitude, the 4-star Hotel Alpina is the perfect place to stay for you. 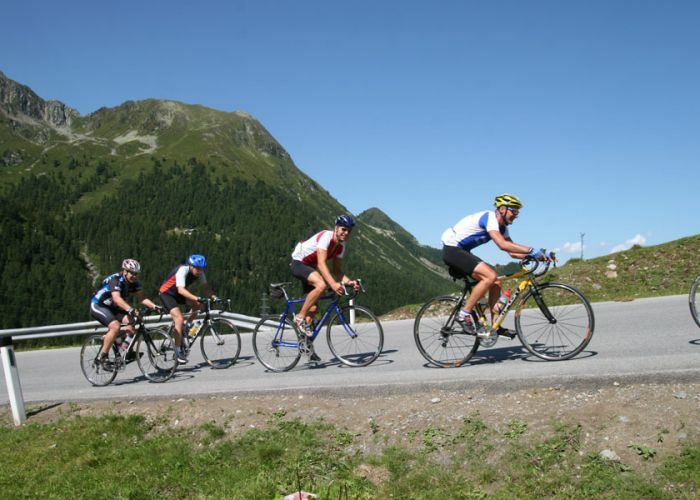 Our hotel is located right in the centre of Soelden and offers all the pleasant amenities which any summer or winter holiday should include: comfortable rooms, excellent cuisine, a large well-being area and friendly hosts who can offer plenty of tips to help you plan your day. The facts and figures of the Soelden ski resort alone bring tears of pleasure to the eyes of many winter athletes: 150 km of slopes of all difficulty ratings, skiing at over 3,000 m altitude, guaranteed snow from October to May and the longest descent over 15 km and 1,900 m altitude... and it’s just a few metres from the Hotel Alpina to the valley stations. 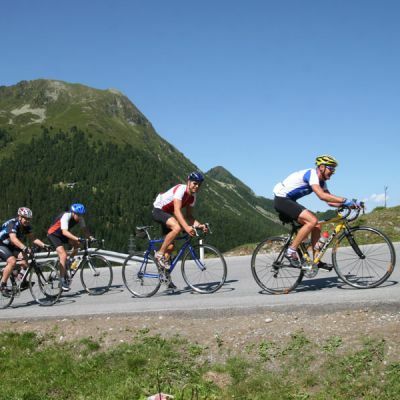 The Hotel Alpina in Soelden is a member of RoadbikeHolidays and Mountainbike Holidays. This guarantees the best possible care for you and your bike. From catering to video monitoring in the bike cellar and tour tips from the owner - Lukas Riml himself is an enthusiastic cyclist and certified guide. Active days require a healthy breakfast to start the day. Enjoy a 4-course menu with a salad buffet in the evening in our new designed dinning room or in the traditional pine-wood Stüberl. The Hotel Alpina spa is also open for use whenever you want during your holiday in Soelden in the Oetztal Valley. Here you can recharge your batteries for your next day of sport, whether in the sauna or whirlpool or while enjoying a soothing massage. Spend your holiday in Soelden whilst enjoying active days packed with sport and the luxury of a 4-star hotel in a top location. Send us a non-binding holiday enquiry now or book directly online.